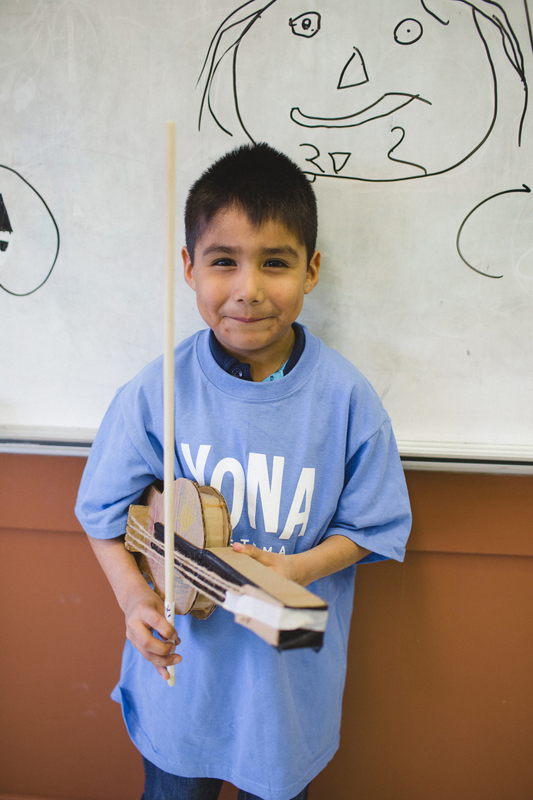 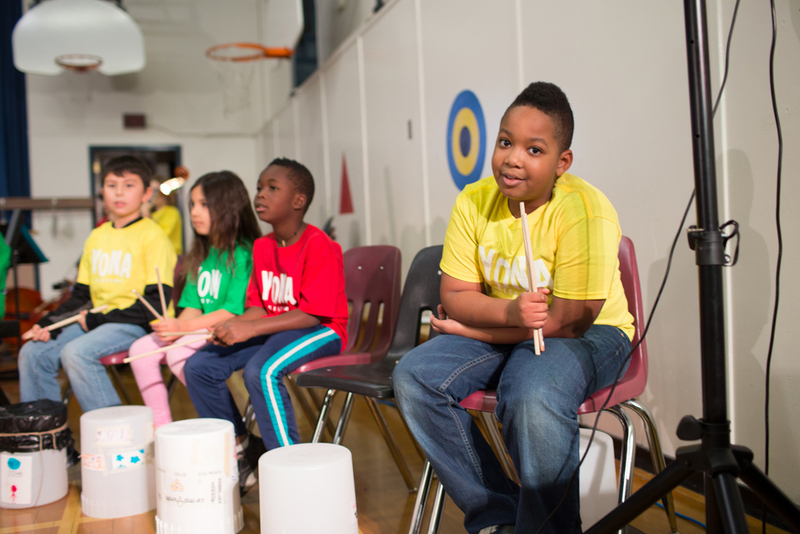 On Wednesday, October 28, our 20 new YONA students received their real instruments and tried them for the first time, in front of a packed audience made up of YONA families and friends. 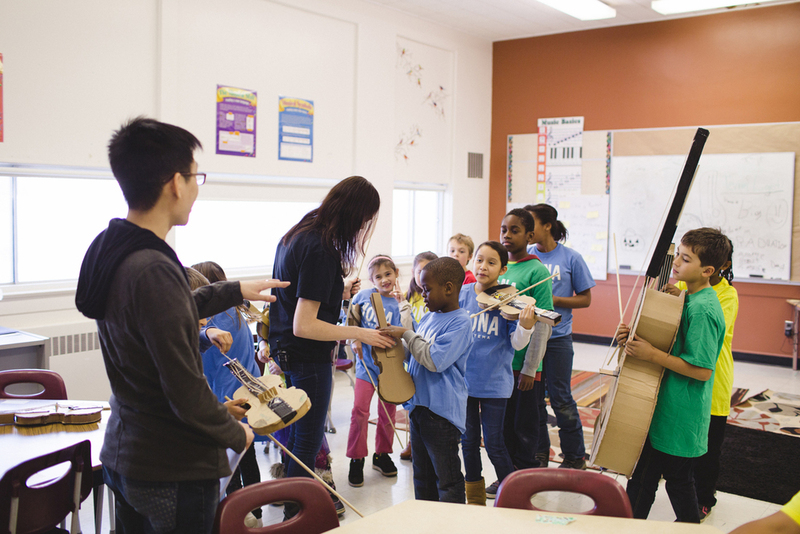 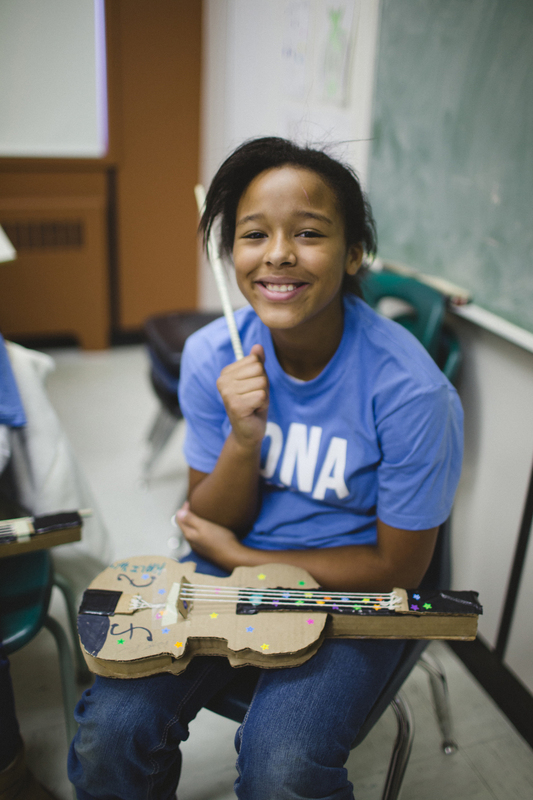 This event represented the culmination of weeks of effort put in by those students on the cardboard instruments they built on the first day of YONA. 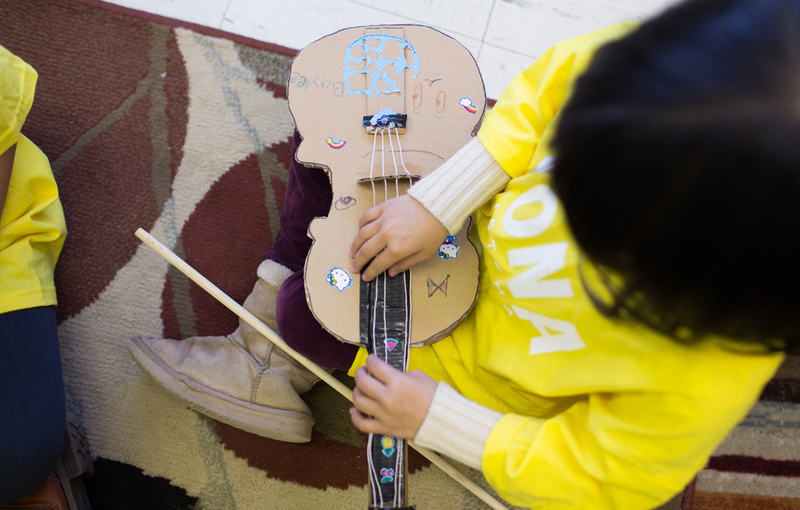 Once those students learned songs about the parts of their instruments and demonstrated how to hold them properly and care for them with respect, they were invited to walk across the stage during the graduation ceremony, shake their teachers' hands, receive a certificate and swap their cardboard instruments for the real thing! 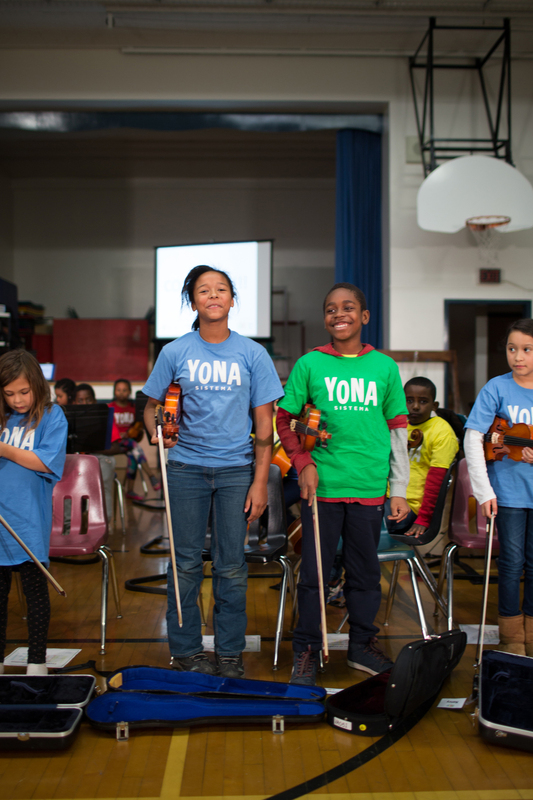 The ceremony concluded with all 53 YONA students playing their first notes together, in a Magical Musical Moment. 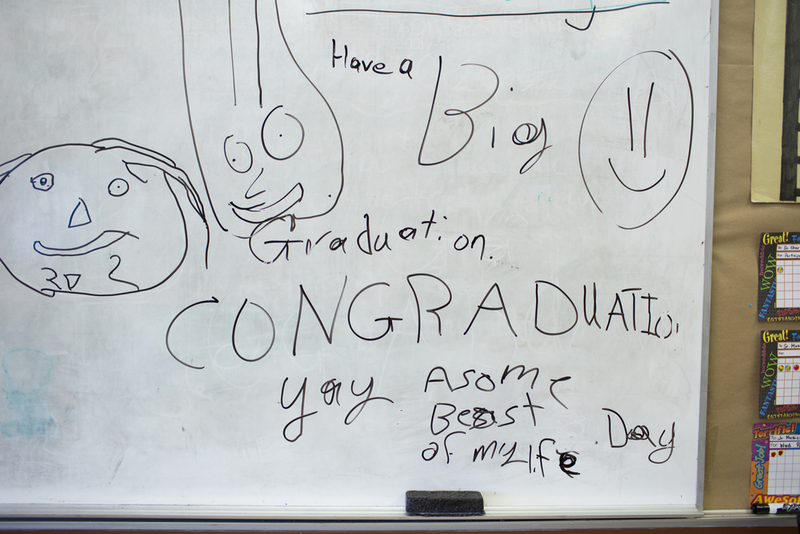 Take a look through these photos from the day, and get a sense of the magic and anticipation felt by all.